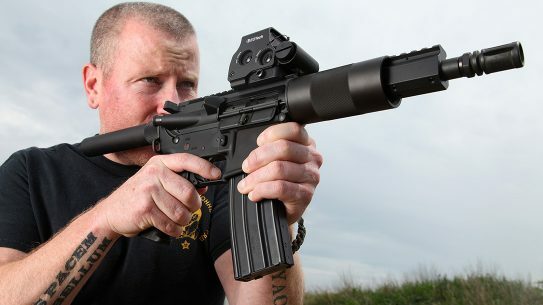 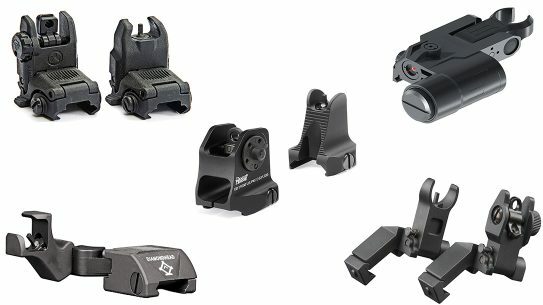 Are AR Pistols or SBRs Better for Your Shooting Needs? 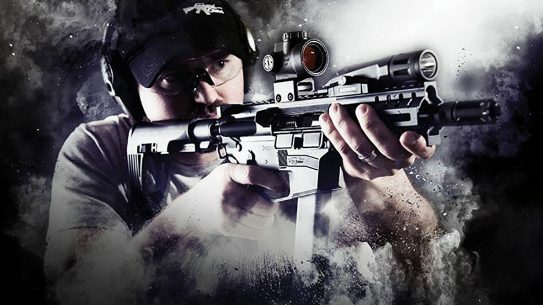 With the Radian Model 1, Radian Firearms set out to prove that no detail is too small in building the perfect AR-15. 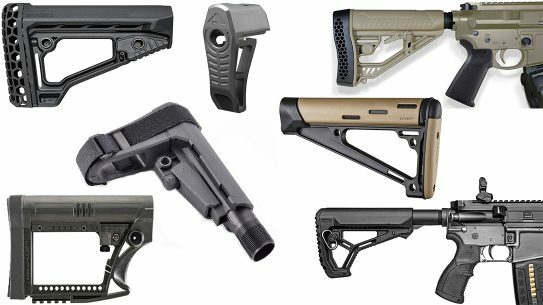 With the 300 Blackout emerging as one of the most popular alternative AR chamberings, we take a look at five quality AR pistols available in that cartridge. 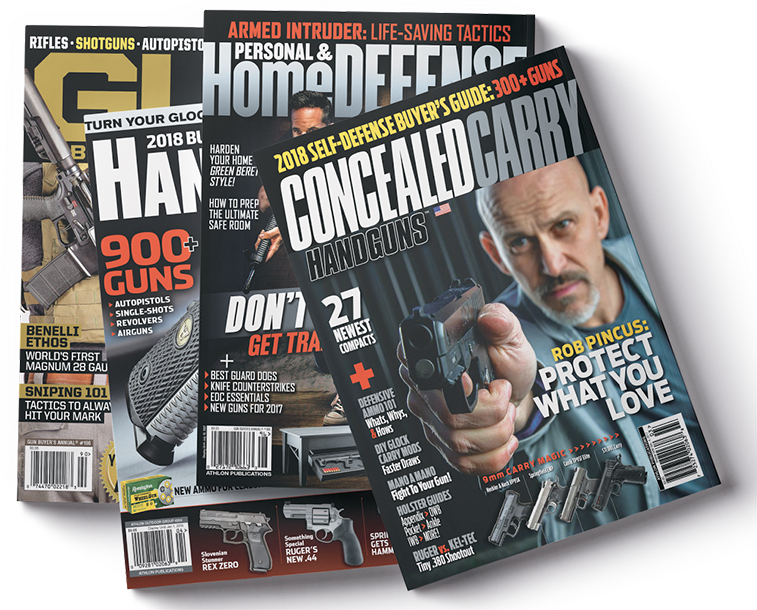 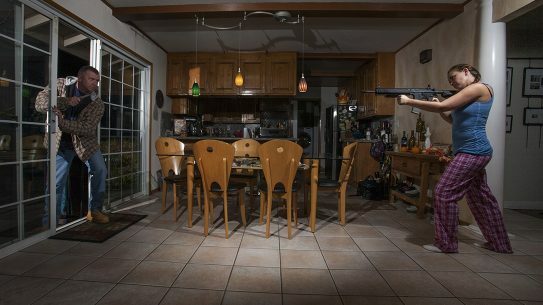 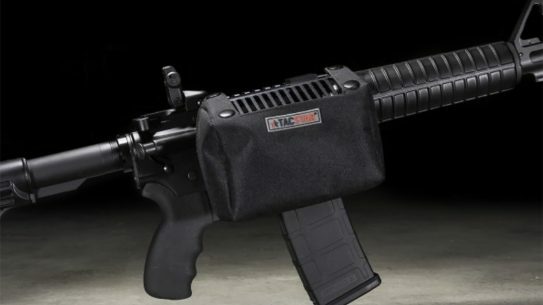 Pistol Mounted Solutions' Pistol Storage Device brace lets you store items like slings, tourniquets and magazines when other storage options aren't available. 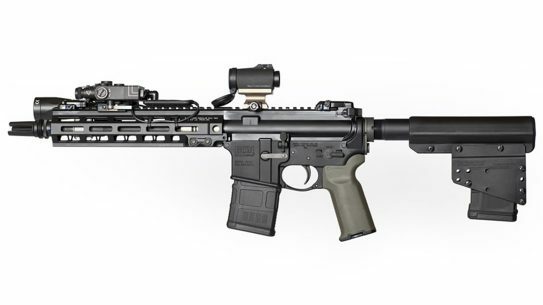 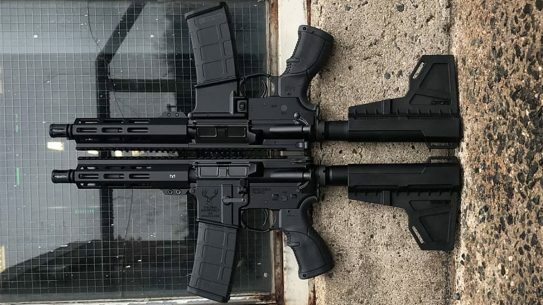 Stag Arms has announced the release of two new Stag 15 M-LOK AR pistols chambered in 5.56mm NATO and .300 Blackout. 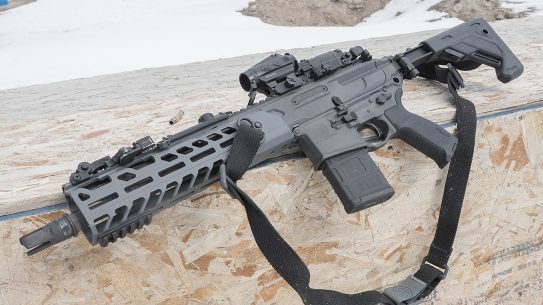 The new DoubleStar ARP7 pistol features the company's Strongarm pistol brace, Seven-inch Cloak MLOK handguard, and Big Timber brake. 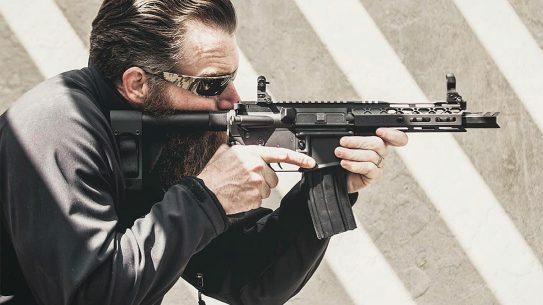 The TacStar brass catcher addresses the annoying problem of having to walk around trying to find spent brass after a day of AR fun at the range. 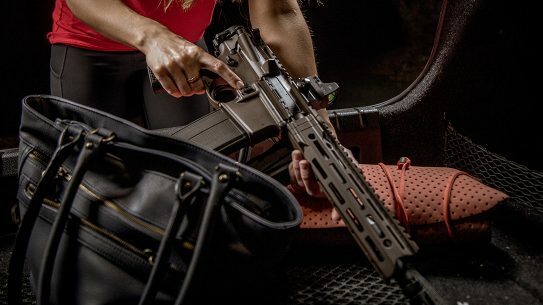 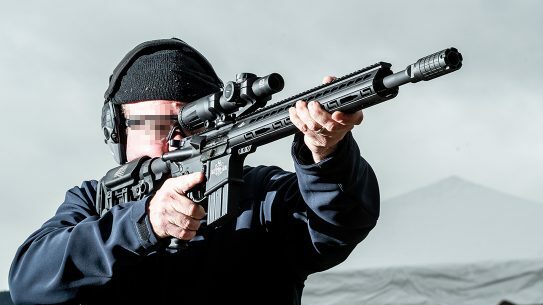 The CMMG Banshee lineup is built for close protection, home defense, plinking, competition or any application that would benefit from a compact, lightweight platform. 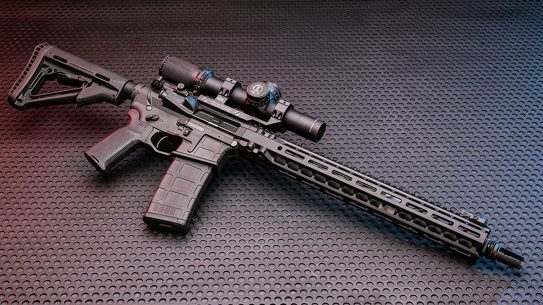 When it comes to the AR platform, our panel of experts agrees that every law-abiding American should have the right to ownership. 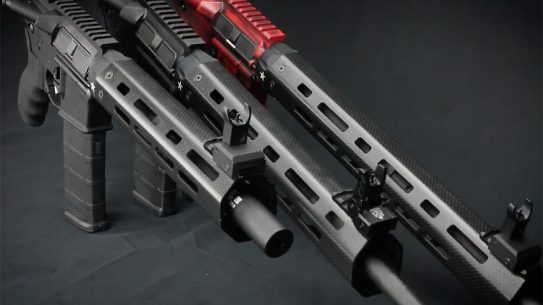 TacStar's carbon fiber AR-15 handguards come with an integrated Picatinny rail, multiple cooling slots and M-LOK-compatible mounting points. 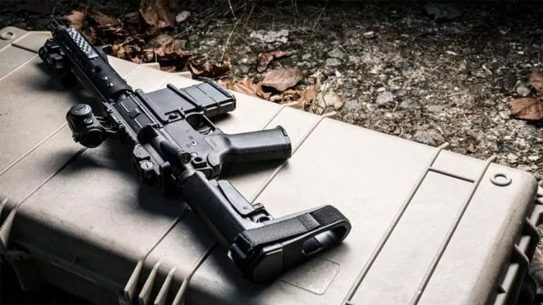 The 5-position adjustable SB Tactical SBA3 stabilizing brace for AR pistols is now shipping, the company has announced. 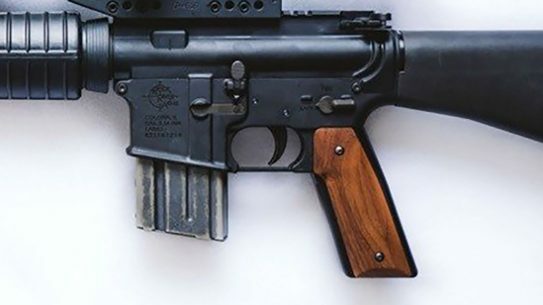 Black Wood USA blends old school and new school with its brand new English Walnut grips designed for the AR-15. 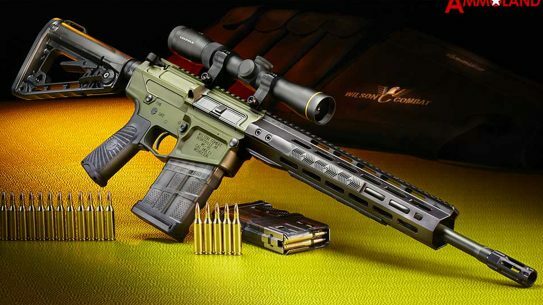 The Wilson Combat Ranger rifle series is designed for tactical, defensive or hunting applications that place a premium on light weight.